take time to play around with the platform beforehand. there are a lot of things that can be done that may not be listed as features but are feasible based on how it is set up. What Audience Response solution do you use? Poll Everywhere provides stylish real-time interactions with audiences via mobile devices. sli.do is an audience interaction platform for meetings and events. It allows event organisers to share presentations with their audience in real-time, crowdsource the best questions for Q&A or get instant feedback via live polls. Glisser makes presentations interactive. It takes regular slide decks and pushes them out live to audience mobile devices, slide-by-slide, as they are presented. It then enables members of the audience to interact with the presenter or each other, through polls, live Q&A and Twitter. Crowdpurr is an Audience Engagement Platform that helps you create amazing interactive mobile-driven experiences for your live events... for Free! TurningPoint is an interactive polling software that offers instant management of polling participants, content, sessions and reports. OMBEA is an audience response system that displays live feedback on people's opinions and knowledge, easy to use with Microsoft PowerPoint slides for voting, engagement and assessment. Crowd Mics turns the audiences phones into wireless microphones for live events. Qwizdom audience response systems and apps are designed to enhance learning and user engagement. Use Sendsteps to vote and ask questions during your interactive presentation. Participate using a laptop, tablet or smart phone via a website, Twitter or SMS. Pigeonhole Live is an interactive Q&A and polling platform for engaging audiences at conferences, town halls and other events. * We monitor all DialogLoop reviews to prevent fraudulent reviews and keep review quality high. We do not post reviews by company employees or direct competitors. Validated reviews require the user to submit a screenshot of the product containing their user ID, in order to verify a user is an actual user of the product. Hi there! 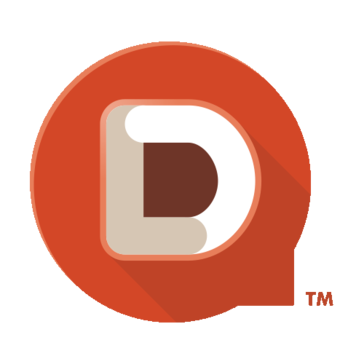 Are you looking to implement a solution like DialogLoop?